How will the Certificate help me? The Certificate is an introductory 12 week course aimed at enabling mental health professionals who wish to add to their existing skills and knowledge. It also attracts entrants who wish to learn about CBT and therapy as a career and those who are working towards professional accreditation and wish to acquire recognised hours of theory and skills. The Certificate provides 91 hours of CBT theory and skills which can be used to work towards professional accreditation. As with all short courses none are professionally accredited by professional organisations and this includes our own Certificate Course. However our Post Graduate Diploma Course is accredited by BACP. 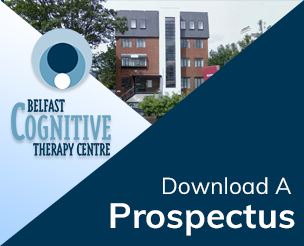 The Basics of Cognitive Therapy, including the Alliance and Interpersonal Processes. Understanding Anxiety Disorders and Depression. Cognitive Interventions and Underpinning Theory. CT Structure, Homework and Note-Taking. When is the next Certificate course? The Certificate Course lasts twelve weeks. Due to increasing demand from trainees, we are now offering two Certificate courses per year, both running on Saturdays, 9.00am to 5.00pm. The next course begins on 2nd March 2019 and runs until 22nd June 2019. The course after begins on 7th September 2019 and runs until 11th January 2020. Closing date for March 2019 Certificate applications: Wednesday 13th Feb 2019. Interviews for March 2019 Certificate course: Saturday 16th Feb 2019 at BCTC. Interviews for September 2019 Certificate course: Saturday 31st Augst 2019. Theory training takes place from 9.00am until 1.00pm and skills training from 2.00pm until 5.00pm. By the end of the course you will understand the basics of CBT and also how to assess and work with depression and common anxiety disorders. How is the Certificate course assessed? Assessments take the form of practical client work skills, knowledge of CBT theory and skills and personal and professional development activities. Fees for the Certificate Course 2018 are £1500 inc. VAT. A non-refundable fee of £200 applies to all successful candidates and is due to be paid before starting the course. This fee will be deducted from the overall course fee. Fees are payable by single payment or in 3 instalments of £500 (inc VAT). A detailed Trainee Handbook is available to applicants at interview and also to trainees who attend the course. An inspection copy is also available in the library and you are welcome to view this. If you are considering applying to the Course you are also advised to attend an Evening Information Training seminar.